Meet Thao Nguyen, a happy DAT Bootcamp customer who recently dominated the DAT. 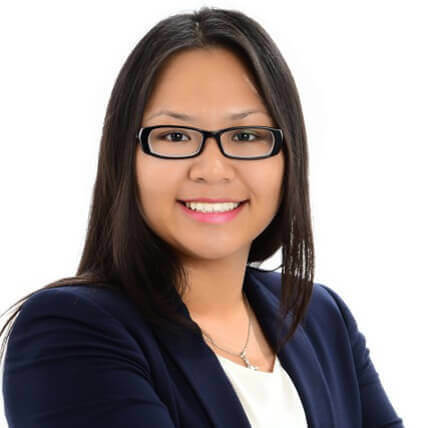 Thao’s scores and tenacity truly impressed me; I asked for her to share her DAT experience with us as the featured student of August. Clear out your schedule for at least 4 weeks and focus on nothing but studying for DAT during that time. Taking practice tests is good but do not be discouraged by the low scores because they are not standardized tests and those scores are not your official ones. I think it is essential to go over your practice tests and understand why you made the mistakes on them. In my opinion, DAT Bootcamp is the best simulation of the real DAT out there. The questions are presented in a very similar manner to the questions on my real DAT, especially for Biology section. Since DAT Bootcamp is relatively new and it is created by people who took the DAT recently, it offers one of the most up-to-date question banks out there. DAT Bootcamp is the main reason for my 21 in Biology due to the detailed explanations. I love how the explanations always analyzes every answer choice and offers extra information. I always went through the explanations carefully and take notes of any new info even if I had the right answer. The calculator on the QR section is exactly the same as the one on my real DAT. 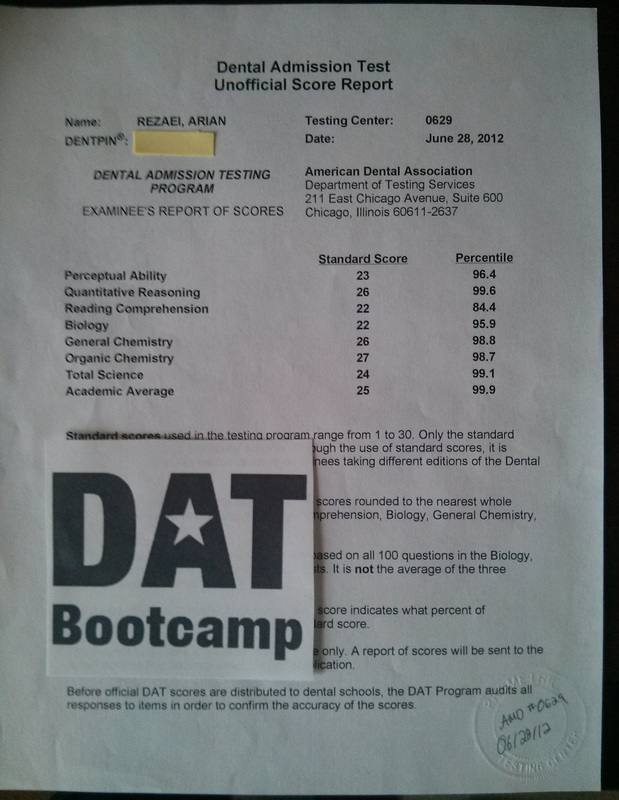 QR section of DAT Bootcamp is difficult and it was depressing going through the 5 practice tests but they significantly improved my Math skills. I would have spent another 2 weeks to prepare for my DAT If I could do it all over again. I was not confident after 3 weeks of studying but I could not push back my DAT due to my summer class starting the day after. Which dental schools are you thinking about applying to and why? I applied to all 3 Texas schools because I’m a Texas residents and I’d like to stay close to my family. I also applied to Columbia, and if I do get an interview, I hope to have a chance to meet you in person Ari! My score breakdown is 23 AA, 23 TS, 21 BIO, 25 GC, 25 OC, 22 RC, 21 PAT, 21 QR.